Apple’s second fiscal quarter has just ended. Time for analysts to put forward their predictions for the quarter’s report (due in about 3 weeks.) If history is a guide, the estimates will range quite widely and accuracy will be determined mostly by the ability of an analyst to predict iOS device sales (and iPhone most of all). It depends on what you choose to prioritize as the proxy for sales. 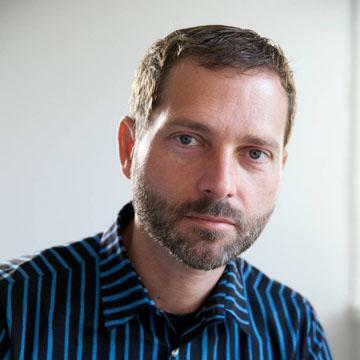 In competitive markets there is usually a constraint on demand and rivalry among suppliers. If that’s your assumption you might want to use samples from the sales channel as a proxy. That means sampling distribution channels and sales through to end users at retail. You might even watch competitors and index them to each other using historic market shares. In markets where demand outstrips supply, the best method would be to determine the constraints to production and measure those. In Apple’s case we know from company statements that Apple faces more demand than it can supply. That makes things easier for the amateur because she can just figure out production. In other words, the logical way to forecast Apple’s iPhone sales is to guess how many they can make. Combining these public data sets we can build up a model of production ramps and look for patterns of growth. 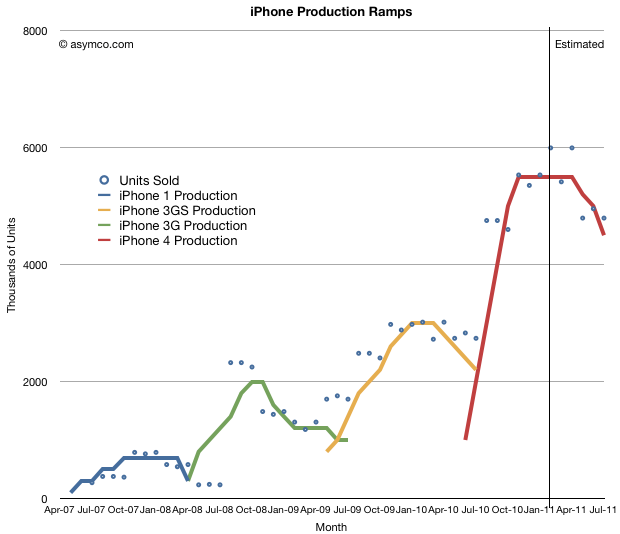 So here are the patterns of sales for the four versions of iPhone sold to date with some production ramps overlaid. The monthly sales are approximations based on actual quarterly sales divided over the months according to the number of days available. Inventory during any one month has to be greater than zero. Inventory must be minimized. Ideally it should not exceed 2 million units and preferably should be around 1 million units at any given time. There is a limited amount of overlap between production of various generations. I.e. once a new version is launched, the older product should end production. Continuing sales of older model should be made available from inventory. I need to stress that this is just my estimate. It’s an approximation and not reality. What it does is give reasonably accurate predictions for units sold. What I’ve always assumed is that each new version of the iPhone sells twice as many units as the last. This is roughly translated into: each ramp is roughly double the previous ramp (at least on average). The data bears this out. Apple has been very considerate in keeping products on similar cycle times so that we can see this pattern emerge. The current generation will probably sell around 60 to 65 million units. We know how many have been sold so far, so we can be pretty sure what will happen in the quarter just ended and the one just starting. 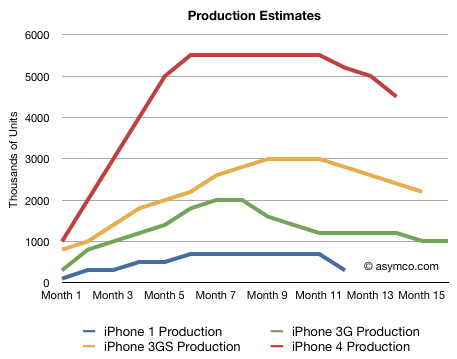 Looking at the pattern between generations, we can guess what the iPhone 5 curve will look like and build up the units forecast by month and quarter. You can sanity-check the forecast by looking at overall market shares for Apple and overall market growth. If share moves too far up or down it might makes sense to revisit the data.